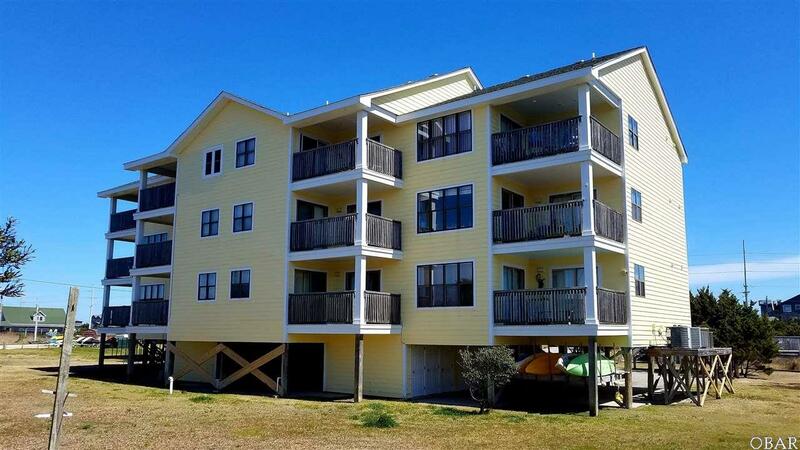 2 bedrooms, 2 full bathrooms, 1st Floor Unit at Pamlico Point Condominiums! 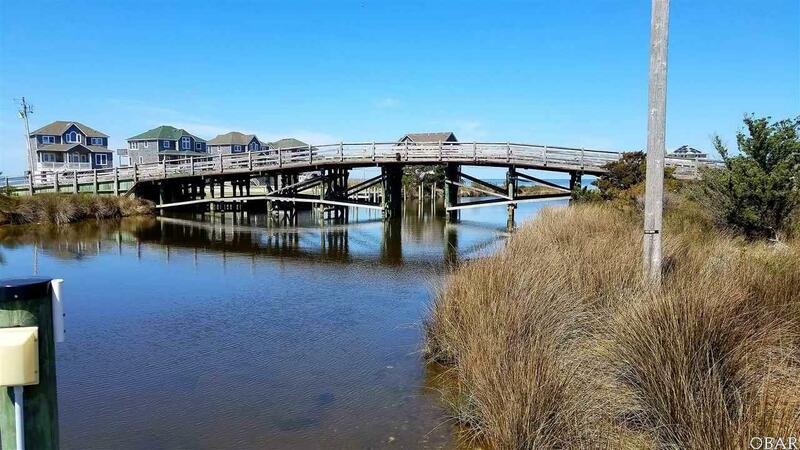 Great access to the Sound via kayak or paddleboard, and only a few minutes walk across the street to the Ocean Access! Fantastic Sound Views from your living room and private deck! 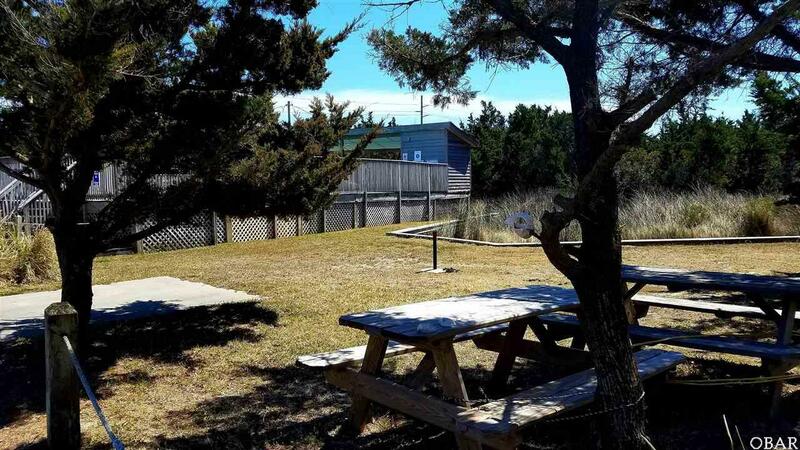 Great location for Kite Surfing enthusiasts with easy access and great views of the Pamlico Sound. Centrally located in Avon Village with nearby shops, eateries, spa, doctors office, and grocery store only a bike ride away. This lovely unit offers the warm southern exposure, allowing year round outside living! 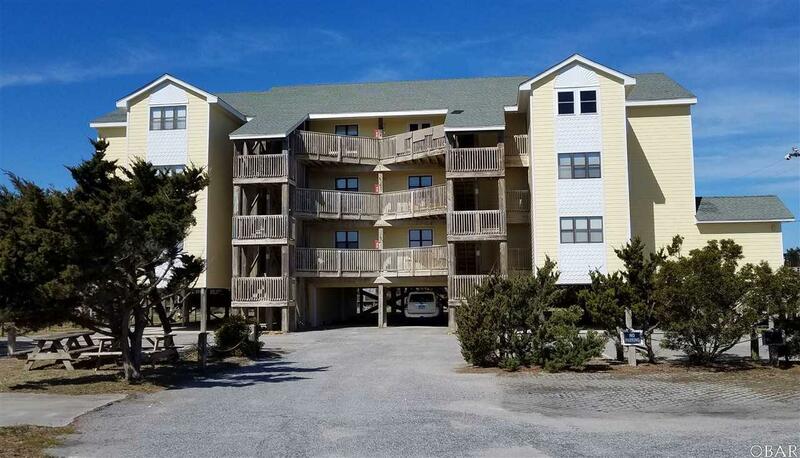 Unit A2 has a private, ground level storage locker for all your sports, beach, and fishing gear! RECENT UPDATES: New Exterior Paint Job (by Stowe Painting) 2015, New Septic System (by Crum) 2015. PAST 4 YEARS - New Paint, New Flooring, New Furnace. PAST 2 YEARS - New Microwave, New Hot Water Heater. Seller offering $5,000 credit/allowance for furnishings to buyer at closing! Unit A2 comes unfurnished.